Healing Herbs Bunches And Hessian Bags With Dried Marigold, Clover.. Stock Photo, Picture And Royalty Free Image. Image 42923486. 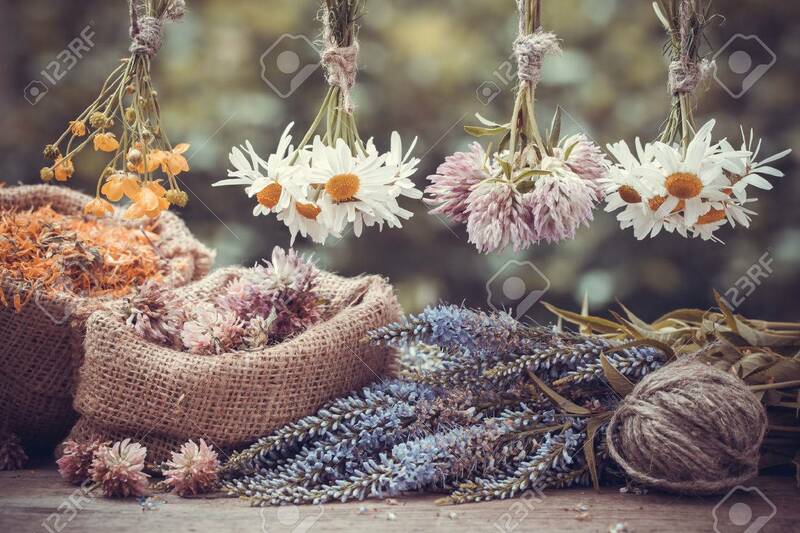 Stock Photo - Healing herbs bunches and hessian bags with dried marigold, clover and chamomile. Herbal medicine. Healing herbs bunches and hessian bags with dried marigold, clover and chamomile. Herbal medicine.